Human reproduction is the hallmark of life - a vital part of the cycle of living things. 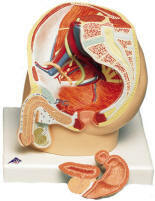 In human beings, reproduction is much the same as for other mammals. 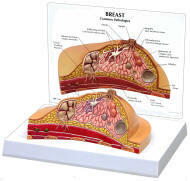 Specialized reproduction organs are located in the lower abdomen. The male has glands called testes that make microscopic, tadpole-shaped sperm cells. 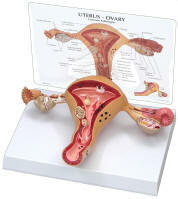 The female has glands called ovaries that make pinpoint-sized eggs cells. 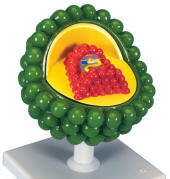 Together they result in a fertilized egg cell and the beginning of new life. 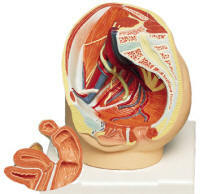 Our anatomical models provide an excellent way to learn both the female genitalia and the male genitalia. 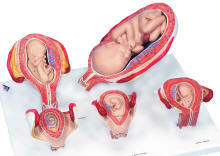 The Life Before Birth models show fetal and embryonic development. 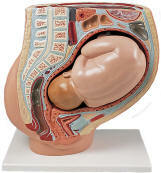 The Pregnancy Models focus on delivery of the new baby.